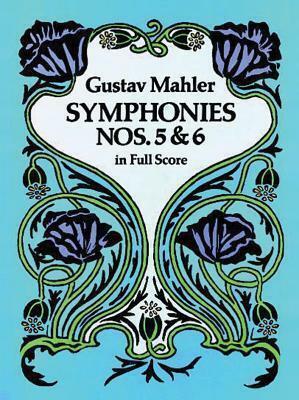 In his Fifth Symphony, Gustav Mahler (1860-1911) moved on from the song-oriented works of his "Wunderhorn" period to take up the challenges of the purely instrumental symphony. It was a move that brought to the fore the Austrian composer's genius for discovering fresh and convincing formal solutions for his musical aims. Without a specific dramatic "program" or narrative live, the Fifth Symphony moves forward in vivid, emotionally compelling musical shapes that begin in funereal gloom and build to climactic expressions of heroic triumph and ultimate joy. In his Sixth Symphony, Mahler continued to explore the potential of the instrumental symphony, but followed an opposite dramatic course to that of the Fifth, this time building to a series of shattering climaxes implying ultimate defeat and death. Both of these deeply moving works, composed between 1901 and 1906, are today among the most performed symphonic works in the orchestral repertoire. Both symphonies are reprinted here from authoritative full-score editions in a finely produced volume designed to provide a lifetime of enjoyment and study.